Welcome to the investment part of my website. Your wedding is the biggest day in your life and is something you will want to remember forever. It's the day you invest in most, not just in money but also in time and thought with all the little details that make it so special. In years to come your photographs are often the only reminder you have of all those wonderful memories. Your pictures will once again evoke all those wonderful moments and help you relive that beautiful day over and over again. I offer a variety of services including wedding albums, digital files, framed prints and many other products. To keep things transparent with cost, I have listed below my current wedding collections. I am more than happy to design a bespoke package to suit all your needs if one of the options below doesn't tick all the boxes. A popular choice with full day coverage. This collection gives you all your images on a USB flash drive in high resolution, ready to print and share with friends and family. 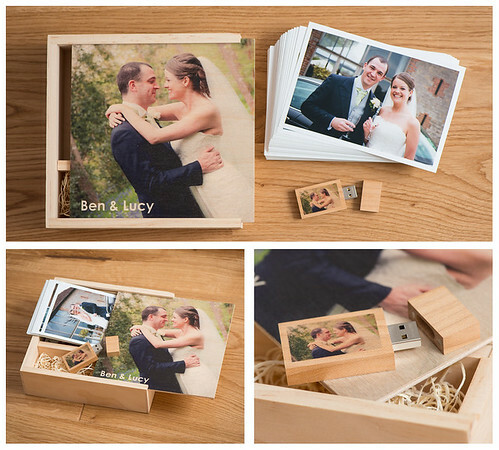 It comes beautifully presented in a personalised box with a selection of prints. 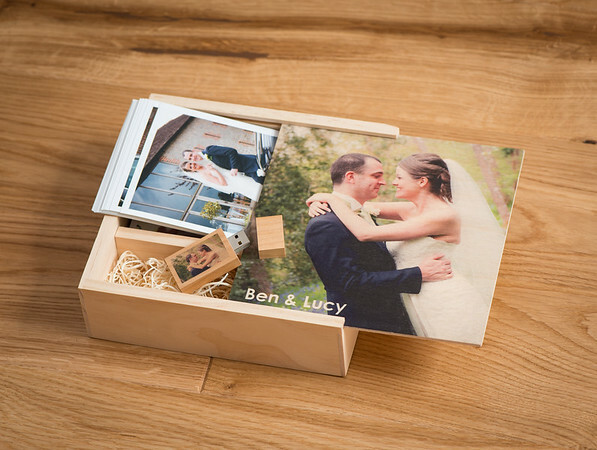 Treasure your images with a stunning wedding album. 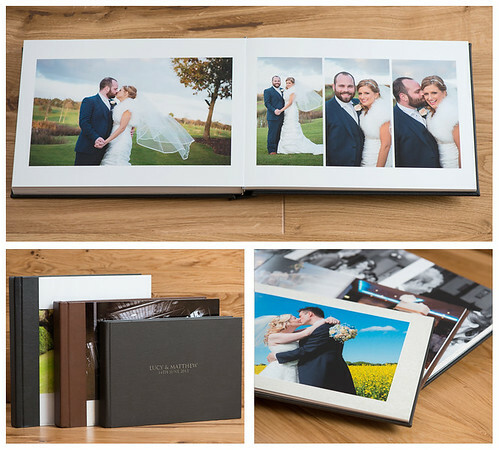 This collection giving you full day wedding coverage with a handcrafted 12"x 8" Album containing 30 pages of your favourite images (larger albums available). This bespoke designed album comes in a variety of styles and finishes. My most popular collection with both a wedding album and all your digital images. This collection combines both the digital and album collections to create the perfect package. Half day coverage, ideal for those after coverage from ceremony to speeches only. Additional coverage hours can be added at a rate of £75 per hour. Simply click here to see if we are available on your wedding date. Getting married abroad is becoming even more popular, with its guaranteed great weather and stunning scenery. You shouldn’t have to sacrifice the standard of photography simply because you are in another country though. With my destination wedding service you get an english speaking professional photographer who not only covers the wedding day abroad, but works with you before and after the wedding back in the UK. This service gives you the same high standards you would expect if you were getting married back home. To discuss and plan all your photography needs before leaving the UK. Coverage to suit you, from Bridal Preparations through to the evening celebrations. Presentation at your home of all your wedding pictures for you and family to watch and enjoy. Viewing and ordering service for family and friends. Complete your package with a wide variety of products. To book J. Stock Photography for your wedding day, please contact us to confirm your wedding date is still available. A deposit of £100 is required with all wedding bookings. Once received, I shall send conformation and arrange a suitable date for your pre wedding meeting and engagement shoot if applicable. If you would like to see some sample albums and discuss your day, I am more than happy to visit you before making a booking. Please feel free to contact me to arrange a quotation. All bookings are secured with signing of a booking agreement and a £100 non-refundable booking fee. This fee is then deducted from the total collection price. The remaining balance is due no later than four weeks prior to the wedding date. A pre-wedding consultation will be scheduled for 1-2 months before the wedding date. Collections with full day coverage including all images, usually consist of 450+ images total. Travel to venues is included within 25 miles of Southampton (main land only). For customers outside this area, including the Isle of Wight, there may be an additional travel charge. Please note that final products may vary from those shown depending on supplier availability. J. Stock Photography has worldwide comprehensive insurance including public liability and professional indemnity. This is provided by Towergate Camerasure - a specialist insurer for the photographic industry. All prices are highly competitive but there will always be somebody cheaper and many that will be more expensive. In years to come your photographs are often the only reminder you will have of the biggest day in your life, which is why choosing the right photographer is important. My skill in planning for the event and capturing your unique pictures is complemented by the many hours of work following the wedding day. Each image is individually edited and processed for the best professional result.